We love when our kids and families visit our office, even years after the kids are out of treatment. 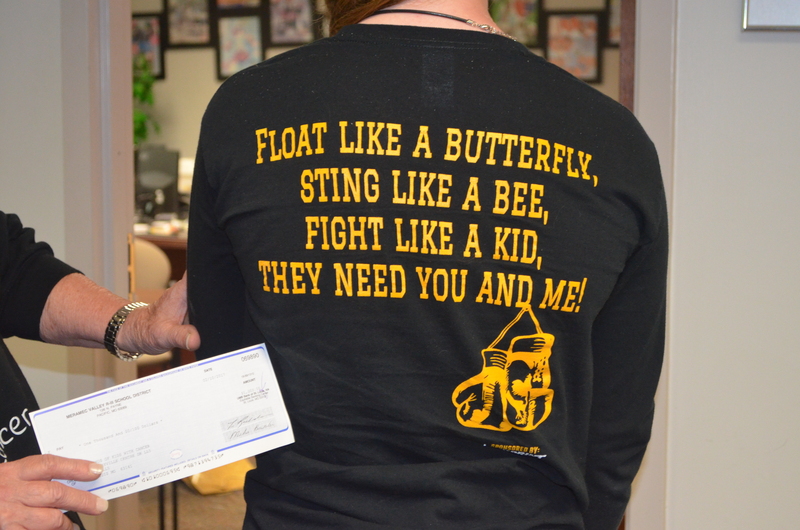 When Annie stopped by this spring, we were surprised and delighted to hear that she spearheaded a DECA project at Pacific high school selling t-shirts to raise money for Friends. Annie and the other high school students won districts for their clever business project that helps kids with cancer. Thank you, Annie, and your DECA class! 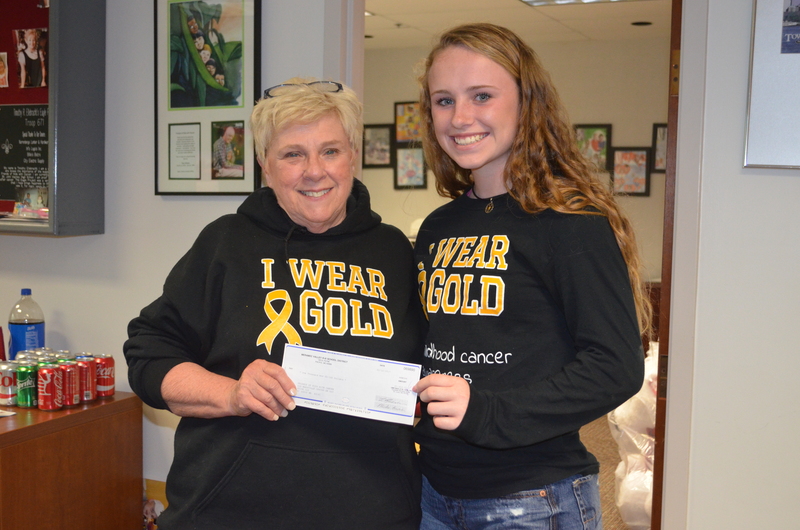 Annie presenting Friends' Executive Director, Judy, with a check from her DECA project.